She always wanted to work at KOPA‒ one of the most thriving companies in the city ‒ and she just found out that they are hiring. It looks like she's finally had a stroke of luck. And, just like that, her life changes. But then...she runs into him. Although reason tells her to flee, her whole being is pulled toward him. And the inevitable happens‒ she gets involved in a passionate romance with the man of her dreams. Review: An emotional and intriguing erotica! May Rockford has drawn her last straw. She’s agreed to meet the man she’s been exchanging letters with for six months. They are to meet in Sweetwater Springs, where they can get to know one another before making a marital decision. Little does May know that Mr. Montague, her intended, has gotten a terrible case of cold feet. 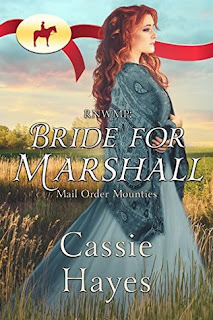 Randolph Cade does what his boss tells him to, even impersonating him to meet his potential bride. May is sweet, saucy, and more beautiful than Randolph expected. Sending her home becomes a test he’s bound to fail. Review: A story of unexpected love amongst deceit! Hattie Arnsby’s been a slave to men and whiskey for the last year. She’s drowned herself in drink to avoid her life at the Red Garter Saloon in Keystone, SD. 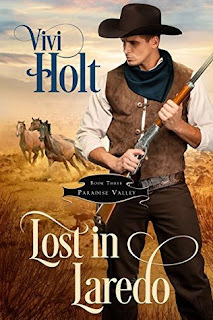 When a handsome deputy finds her after a year of searching, she finally sees a sliver of hope. 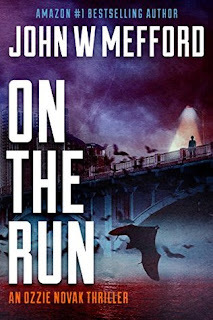 Hugh Bradley is deputized to find Hattie and bring her home, but her captors aren’t ready to set her free. He must help her be rid of the drink and the binds of the brothel. But when Hattie’s handed temptation, will she run back to her past or embrace the love growing between them? Review: An adventure of love no matter the past! Jennie Arnsby wants nothing more than to turn around and go home. 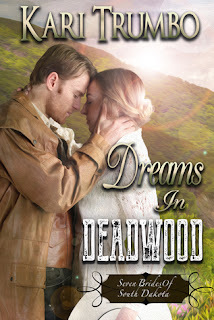 Her family is on their way to Deadwood, SD, when Aiden finds his way to their small wagon train. His teasing and banter leave her wanting to toss him out the back and in the dust. When they are separated outside the city, she is left wondering if she’ll ever see him again. Aiden Bradly wants to find his gold and return home. Nothing more. He can’t afford to get tangled with a woman. He’s doing just that until he meets the feisty Jennie. She gets him thinking about his past and forgiveness, but what’s more important, his past or his new future? Aiden will either redeem his past or claim a treasure greater than he could ever imagine, but he must choose one. An emotional and intense love story!